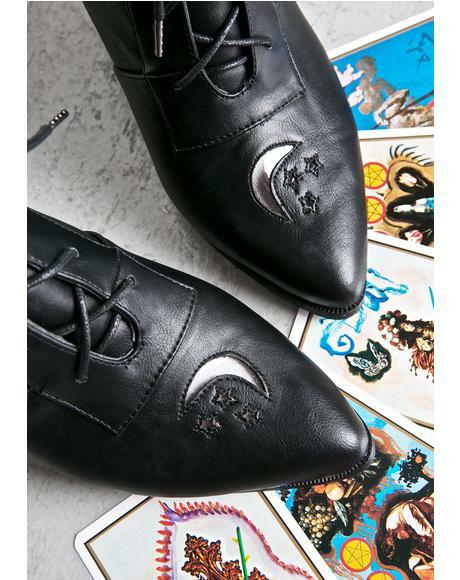 Dolls Kill has the wicked and most badass selection of occult fashion that’s perfect fer every doll and her personalized style. With the darkest women's witchy clothing and occult fashion like occult graphic t-shirts, ouija boards, candles, and pagan clothing, our doll will alwayz look like she's from the dark side! Carrying major brands such as Killstar, Disturbia, Kreepsville 666, and more, you’ll always find the most wicked fit. Scroll thru each page fer the newest occult clothing n’ unleash yer inner riot girl at an online shopping destination unlike anywhere else.